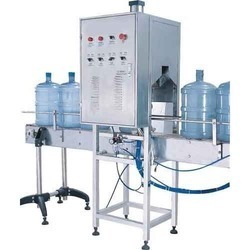 We are an eminent name, which is engaged in delivering Jar Filling Machines to honorable clients. The offered range of jar filling machines is made utilizing high grade raw material and modern machinery in strict compliance with the international quality standards. 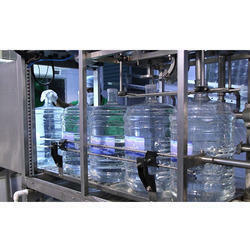 Moreover, the offered range of jar filling machines is appreciated for its simple electric control and easy adjustment. The range offered by us includes Jar Filling Machines, Single Head Jar Rinsing Filling Capping Machine and many more. Works on positive displacement principle. Fill accuracy: less than 1%. In order to append and respond to the diverse requirements of esteemed clients, we are able to offer Water Jar Filling Machines. The offered range of jar filling machines is applauded for its capability to fill liquids of low or high viscosity by volumetric filling. Along with this, the offered range of jar filling machines is tested on the number of parameters so as to ensure its compliance with the industry laid norms and standards.